Home - Brokers - How to select a Forex broker - How to Select a Forex Broker in South Africa? How to Select a Forex Broker in South Africa? Definitely yes. The simple searching for Forex broker in South Africa using Google engine would hardly yield desired results. It requires much more than the use of technology to find the perfect representative in financial markets, especially if accounted for Forex liberalization in recent years. Almost anyone can present himself as a “broker” nowadays. However, it remains a puzzle what skills someone has. In most of the cases, there are very subtle details that can make a significant difference. This may hold especially in emerging economies that should play a more important role in the world economy in the medium to long-term. Almost anyone can present himself as a “broker” nowadays. However, it remains a puzzle what skills someone has. In most of the cases, there are very subtle details that can make a significant difference. This may hold especially in emerging economies that should play a more important role in the world economy in the medium to long-term. 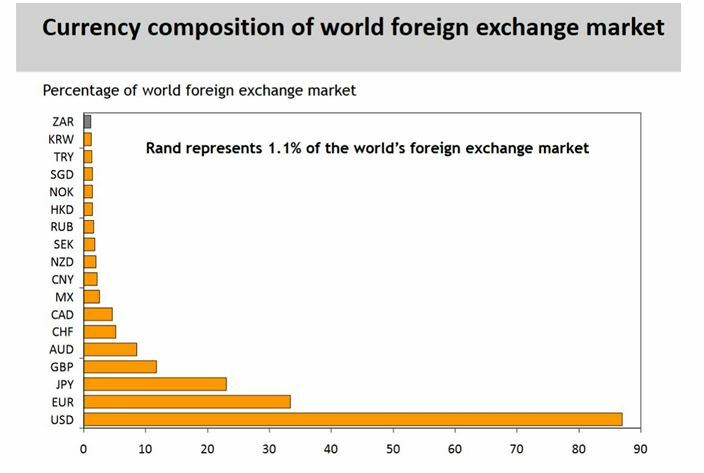 South African currency in 2015 represented 1.1% of the complete foreign exchange market. Additionally, South Africa has the well-educated workforce in the finance industry. More than 1000 CFA Charterholders lead to the conclusion that there are people with know-how, worth the premium. For a trader, it is relatively easy to find a broker in South Africa. It is the broker who has the responsibility to uphold the fluid functioning. Given the limits on funding of Forex accounts, that were relaxed in 2010, it is recommendable to search and pick the broker. Many Forex accounts despite funding becoming accessible, misuse of money is not a rarity. Therefore, the role of broker in South Africa is to offer guarantees on the use of proper channels and to decrease the possibility of the undesired turn of events. Be aware, however, that unlike in the UK, Spread Betting Brokers are not popular in South Africa. What is the South African regulator body? The regulatory body in South Africa is Financial Services Board (FSB). It is an independent institution which acts as the overseer for the sector of financial services outside of banking in South Africa. South Africa is more economically developed when compared with the countries on the African continent. Despite that, the financial regulation in South Africa is not very lenient on foreign currency trading. It is because of the limits, recommendations and some legislative dimension that may complicate the trading. Top brokers in South Africa are aware of this and may also provide invaluably advises on this matter. There is a list of brokers in South Africa with the better and recognized performance available online. It may narrow, but not simplify the search for the best broker to suit specific needs. Finding the top broker has never been an easy task. Policymakers in South Africa have been for a long time occupied with the right policy mix puzzle. The bad combination could be detrimental in cases when business requires well-defined legislative and currency framework. This is especially important for Forex nowadays, which is enormous and highly liquid. Politics drive dynamics of business significantly in emerging markets. Forex broker in South Africa should also be able to predict movements in short, medium and long-term. Sound financial advice is always a cornerstone of any investment, especially in Forex market. As known, Forex follows very specific, highly complex and sometimes unstable fundamentals. Challenging and volatile trading environment, with the relatively fragile underlying economy, pose a serious threat to the stability of the capital. It is also distorting the Forex market in South Africa. What differs best brokers’ class from an average broker is the ability to correctly predict movements and adjustments on macro and micro scales. Any FX broker in South Africa or elsewhere knows what it means to observe the capital movements, but the only top broker can use this to benefit the client and to exploit the moment purposefully. In the last two years, FX volumes in Africa increased by 92%. This is huge movement full of with risks and opportunities. FX Brokers in South Africa with enough skills and knowledge about market should understand this shift and be hawkish when applying their expertise. Although South Africa is continuously rising and there is a middle class, there are ongoing challenges to address both in politics and economics. In more specific terms, there is no perfect guide for FX practitioners anywhere in the world. Enormous literature on Forex is very difficult to tackle, even in long-term. The best brokers in South Africa are able to follow world-class practices. They attain the knowledge instantly and to implement this even in highly volatile environments, without decreasing their performance factor. Leverage, liquidity, volatility, risk appetite and many other terms from finance world are not always familiar to investors and possible clients. Even clients who are in the industry for a long-term period are puzzled with new phrases and principles connected with Forex markets. This issue is even more complicated with the technological advancements that are supporting the functioning of Forex, requiring high levels of awareness. Not only that reliable and distinctive broker would be able to attract the client who is without any knowledge on Forex, the top broker can also achieve very sophisticated communication principles. In that was he is retaining the existing clients and displays extraordinary versatile communication skills. It is not enough to be on the list of South African FSB licensed brokers today. The market is competitive, dynamic and merciless. Time is money measured in nanoseconds in Forex. Although policymakers have difficulties when balancing the underlying real economy with financial dimension in South Africa, top Forex brokers in South Africa would possess the knowledge of the underlying economy. They may provide the window of opportunity without losing the focus. Top brokers are not seeing macro obstacles as a threat. For them, it is a risk that may be translated in the opportunity. In that way, brokers reach win-win situation and develop long-term business prospects.